An infielder is a baseball player stationed at one of four defensive "infield" positions on the baseball field. In a game of baseball, two teams of nine players take turns playing offensive and defensive roles. Although there are many rules to baseball, in general the team playing offense tries to score runs by batting balls into the field that enable runners to make a complete circuit of the four bases. The team playing in the field tries to prevent runs by catching the ball before it hits the ground, by tagging runners with the ball while they are not touching a base, or by throwing the ball to first base before the batter who hit the ball can run from home plate to first base. The infield is composed of four positions: first base (1B), second base (2B), third base (3B) and shortstop (SS). Generally, the first three have responsibility for plays at their respective bases, although the shortstop often shares responsibility for second base with the second baseman. Each position requires a different set of skills. A player who lacks the offensive or defensive skills needed to be a member of the starting lineup, but who has the various skills needed to play two or more infield positions competently and therefore can be called upon to come off the bench and fill a variety of defensive roles is called a utility infielder. The second baseman tries to field balls hit between first and second base. The shortstop does the same between second and third base. Once fielded, the balls must be thrown to the first baseman before the batter can reach first base. This requires speed to get to hit balls before they pass beyond reach, dexterity to successfully field the balls, and agility to field the balls in a position that will allow a strong throw to first base. Second basemen and shortstops—known as the middle infielders—also share responsibility for tagging runners who are attempting to steal second base. Because a shortstop has a longer throw to make to first base, he must reach the ball faster and throw harder than the second baseman. For this reason, the shortstop must have the best fielding skills of any infielder. Because of the spectrum of skills required by a middle infielder, emphasis is usually put on defensive skills rather than offensive ability—good defensive skills and a mediocre bat are often considered more important than a good bat and poor defensive skills. The third baseman primarily fields balls hit and bunted down the third base line, but can also attempt to reach balls hit between second and third base. Although the third baseman does not need to cover as great a range as the shortstop or second baseman, the position requires greater anticipation and quicker reflexes, since the third baseman may be standing only 90 feet from the batter and sometimes much less; thus, he has much less time to react to hit balls than the shortstop or second baseman. The third baseman must also have a very strong arm, since the throw from his position to first base is the longest on the infield. The first baseman is largely responsible for keeping one foot on first base while catching throws from the other three infielders before the batter can reach first base. These throws are often hurried and thus off-target. A player who is tall and has long arms may be a good candidate for first baseman, because these attributes help him handle off-target throws. The first baseman must be able to cleanly field thrown balls that hit the ground before they reach first base, and to quickly decide to abandon first when necessary to catch an especially bad throw. Since the first baseman mostly stands close to his base, his mobility and throwing skills do not need to be high; good hitters who are slow of foot are often placed at first base. In some cases, an aging third baseman or outfielder who has lost some speed but is still a good hitter will be moved to first base to keep his bat in the line-up. In the scoring system used to record defensive plays, the third baseman is assigned the number 5. The third baseman requires good reflexes in reacting to batted balls, the third base position requires a strong and accurate arm, as the third baseman often makes long throws to first base. The third baseman sometimes must throw quickly to second base in time to start a double play, the third baseman must field fly balls in fair and foul territory. Third base is known as the hot corner, because the third baseman is relatively close to the batter, a third baseman must possess good hand-eye coordination and quick reactions in order to catch hard line drives sometimes in excess of 125 miles per hour. Third basemen often must begin in an even closer to the batter if a bunt is expected. As with middle infielders, right-handed throwing players are standard at the position because they do not need to turn their body before throwing across the infield to first base. Mike Squires, who played fourteen games at third base in 1982 and 1983, is a rare example of a third baseman who threw lefty. Catcher is a general term for a fielder who catches the ball in cricket. Catcher is a position for a baseball or softball player, when a batter takes his/her turn to hit, the catcher crouches behind home plate, in front of the umpire, and receives the ball from the pitcher. In addition to primary duty, the catcher is called upon to master many other skills in order to field the position well. The role of the catcher is similar to that of the wicket-keeper in cricket, positioned behind home plate, the catcher can see the whole field, and is therefore in the best position to direct and lead the other players in a defensive play. The catcher typically calls for using hand signals. The calls are based on the mechanics and strengths, as well as the batters tendencies and weaknesses. Foul tips, bouncing balls in the dirt, and contact with runners during plays at the plate are all events to be handled by the catcher and this includes a mask and throat protectors, shin guards, and a heavily padded catchers mitt. The physical and mental demands of being involved on every defensive play can wear catchers down over a long season, because of the strategic defensive importance of catching, if a catcher has exceptional defensive skills, teams are often willing to overlook their relative offensive weaknesses. A knowledgeable catchers ability to work with the pitcher, via selection and location. Many great defensive catchers toiled in relative anonymity, because they did not produce large offensive numbers, notable examples of light-hitting, defensive specialists were, Ray Schalk, Jim Hegan, Jim Sundberg and Brad Ausmus. Schalks career batting average of.253 is the lowest of any player in the Baseball Hall of Fame. That he was selected for enshrinement in 1955 was largely a tribute to his defensive skills. Catchers are often able to play first base and less commonly third base, in the numbering system used to record baseball plays, the catcher is assigned the number 2. 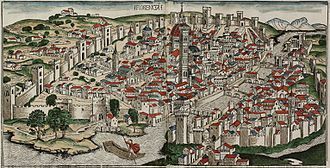 In the middle of the century, the game of baseball began to evolve from a sport played by amateurs for recreation into a more serious game played by professionals. Shortstop, abbreviated SS, is the baseball or softball fielding position between second and third base, which is considered to be among the most demanding defensive positions. The position is filled by defensive specialists, so shortstops are generally relatively poor batters who bat in the batting order. In the numbering used by scorers to record defensive plays. More hit balls go to the shortstop than to any position, as there are more right-handed hitters in baseball than left-handed hitters. Like a second baseman, a shortstop must be agile, for example performing a 4-6-3 double play. Also, like a third baseman, the shortstop fields balls hit to the side of the infield. Doc Adams of the Knickerbockers created the concept of the position, according to Thorn. In the first five years the Knickerbockers played, the team fielded anywhere from eight to eleven players, the only infielders were the players covering each of the bases, if there were more than eight players, extra outfielders were sometimes used. The outfielders had difficulty throwing baseballs into the infield, because of the light weight. Adams shortstop position, which he started playing at some time from 1849 to 1850, was used to field throws from the outfielders, with the advent of higher-quality baseballs, Adams moved to the infield, since the distance the balls could travel increased. Adams had a playing career with the Knickerbockers, he remained a player with the team until 1860. The shortstop ordinarily is positioned near second base on the third-base side, a shortstop must be extremely agile, because balls hit to or near the shortstop position are usually hit harder than to other infield positions. Shortstops are required to cover second base in double play situations when the ball is hit to the second baseman or first baseman and they cover second when a runner is attempting a stolen base, but only when a left-handed hitter is batting. This is because the infield will respond to a batter by shifting toward first base. They often become the man on balls to any part of the outfield that are being directed towards third base and all balls to left. A batboy or batgirl in sports is an individual who carries the baseball bats around to a baseball team. A batboy may lay out the equipment and mud the baseballs to be used in the game and batboys had both been part of baseball since the 1880s. After the 1919 World Series scandal, he was hired by the Brooklyn Dodgers in 1920, when the Dodgers lost the 1920 World Series to the Cleveland Indians, some suggested the four straight losses on the road were due to leaving Bennett behind. He served for almost 12 years as mascot/batboy for the New York Yankees, batboys typically wear the same uniform design as their associated team. They will wear a batting helmet to protect them from flying balls or bats. During any given major league game, both the home and visiting team batboys will be drawn from the city where the game is taking place, a batboy may be provided his own number, but will usually wear 00 or BB in its place. If a batboy uniform does not have a first name on it, it usually have the term BAT BOY or no name at all. On August 3,2015, a 9-year old bat boy for the Liberal Bee Jays in Kansas, the batter did not see Kaiser who was running to retrieve a bat, when he did a warm-up swing. Despite wearing a helmet, he died in the hospital from the injuries he sustained. On June 30,2000, police discovered steroids and syringes in the compartment of the Mercedes-Benz that had been loaned to Boston Red Sox batboy Carlos Cowart by infielder Manny Alexander. In the 2002 World Series, a bat boy was involved in an incident when he went out to get a bat while the play was going on. After the incident, MLB set an age limit of 14 for bat boys. Matthew McGough described his experiences with the New York Yankees in Bat Boy, My True-Life Adventures Coming of Age with the New York Yankees. McGoughs book served as the basis for Clubhouse, a television show that aired on CBS in the fall of 2004. In a pregame ceremony on May 5,2007, Stan Bronson, known as Stan The Man, has served as the batboy for the University of Memphis baseball team since the 1958 season. In the game of baseball, the official scorer is a person appointed by the league to record the events on the field, and to send the official scoring record of the game back to the league offices. Judgment calls are made about errors, unearned runs, fielders choice, the value of hits in certain situations. This record is used to compile statistics for each player and team, a box score is a summary of the official scorers game record. 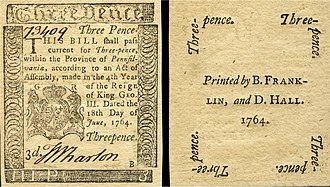 Newspaper writers initially performed this function in the days of Major League Baseball. Controversies related to perceived bias or errors in scoring have led to questions about important baseball records, including several no-hitters and Joe DiMaggios 56-game hitting streak of 1941. By 1979, many major newspapers decided to ban their writers from scoring baseball games due to conflict-of-interest concerns, since 1980, some reforms have been suggested to improve the performance of official scorers. In 2001, MLB formed a committee to review their performance. This authority was used by the scoring three times during the 2009 season. In 2006, an academic study seemed to confirm the existence of a home-team bias in scoring decisions. Henry Chadwick is generally credited with the invention of scorekeeping in baseball, Chadwick was the inventor of the modern box score and the writer of the first rule book for the game of baseball. A judgment call that is required by the official scorer does not alter the outcome of a game, qualified candidates for scoring were submitted to the leagues for approval. Baseball writer-scorers usually worked at the games played at the stadium of the team which they covered for their newspaper. The writer-scorers were tasked with making decisions that could impact the statistics of the team they were writing about. Because of this affiliation, the scorer was often presumed by the baseball players and managers to favor the home team when making the required judgment calls during the course of a game. Criticism of scoring decisions date to the earliest days of the game, some historians claim that Joe DiMaggios record 56-game hitting streak in 1941 was made possible by several generous rulings at Yankee Stadium. In baseball, a number of coaches assist in the smooth functioning of a team. They are assistants to the manager, who determines the lineup, beyond the manager, more than a half dozen coaches may assist the manager in running the team. Baseball is unique in that the manager and coaches typically all wear numbered uniforms similar to those of the players. After the widespread adoption of numbered uniforms in the early 1930s, Joe McCarthy, another Hall of Fame manager, wore a full uniform, all three men retired during or after the same season —1950. Full-time coaches in professional baseball date to 1909, when John McGraw of the New York Giants engaged Arlie Latham, by the 1920s, most Major League teams had two full-time coaches, although the manager often doubled as third-base coach and specialists such as pitching coaches were rare. Batting and bench coaches came into vogue during the 1960s and later, because of the proliferation of uniformed coaches in the modern game, Major League Baseball now restricts the number of uniformed staff to six coaches and one manager during the course of a game. There are 268 coaches in MLB, the first bench coach in baseball was George Huff, who took that helm for the Illinois Fighting Illini baseball in 1905, at the time, it meant a coach present throughout the season. More recently, the coach is a teams second-in-command. The bench coach serves as an advisor to the manager, offering situational advice. If the manager is ejected, suspended, or unable to attend a game for any reason, if the manager is fired or resigns during the season, it is usually the bench coach who gets promoted to interim manager. The bench coachs responsibilities include helping to set up the practice and stretching routines before a game. A pitching coach mentors and trains teams pitchers and he advises the manager on the condition of pitchers and their arms, and serves as an in-game coach for the pitcher currently on the mound. When a manager makes a visit to the mound, he typically is doing so to make a change or to discuss situational defense. However, to talk about mechanics or how to pitch to a particular batter, the pitching coach is generally a former pitcher. 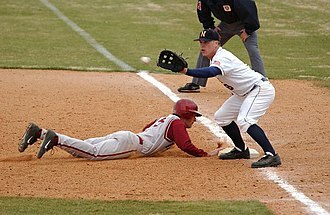 In baseball, a stolen base occurs when a runner advances to a base to which he is not entitled and the official scorer rules that the advance should be credited to the action of the runner. The umpires determine whether the runner is safe or out at the next base, a stolen base most often occurs when a baserunner advances to the next base while the pitcher is pitching the ball to home plate. Successful base stealers are not only fast but have good baserunning instincts, ned Cuthbert, playing for the Philadelphia Keystones in either 1863 or 1865, was the first player to steal a base in a baseball game, although the term stolen base was not used until 1870. For a time in the 19th century, stolen bases were credited when a baserunner reached an extra base on a hit from another player. For example, if a runner on first base reached third base on a single, in 1887, Hugh Nicol set a still-standing Major League record with 138 stolen bases, many of which would not have counted under modern rules. 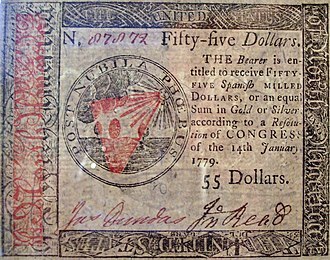 Modern steal rules were implemented in 1898. Base stealing was popular in the early decades, with speedsters such as Ty Cobb. Wills record was broken in turn by Lou Brock in 1974, base stealing is an important characteristic of the small ball managing style. Such managers emphasize doing the things to advance runners and score runs, often relying on pitching. The Los Angeles Dodgers of the 1960s, led by pitcher Sandy Koufax, the antithesis of this is reliance on power hitting, exemplified by the Baltimore Orioles of the 1970s, which aspired to score most of its runs via home runs. Often the small ball model is associated with the National League, some successful recent American League teams, including the 2002 Anaheim Angels, the 2001 Seattle Mariners and the 2005 Chicago White Sox have excelled at small ball. The Kansas City Royals have embodied this style recently, leading the league in stolen bases but finishing last in home runs in 2013 and 2014. Successful teams often combine both styles, with a runner or two complementing hitters with power, such as the 2005 White Sox, who despite playing small ball, still hit 200 home runs. In baseball, batting is the act of facing the opposing pitcher and trying to produce offense for ones team. 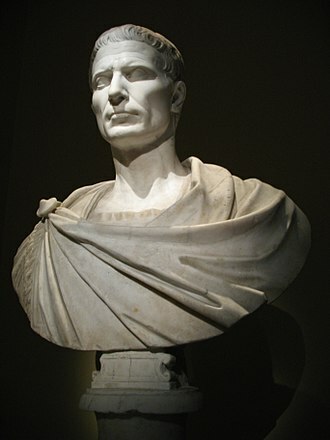 A batter or hitter is a person whose turn it is to face the pitcher. The three main goals of batters are to become a baserunner, drive home, or advance runners along the bases for others to drive home. Hitting uses a motion that is unique to baseball, one that is rarely used in other sports. Hitting is unique because unlike most sports movements in the plane of movement hitting involves rotating in the horizontal plane. In general, batters try to get hits, their primary objective is to avoid making an out, and helping their team to score runs. There are several ways they can help their team score runs and they may draw a walk if they receive and do not swing the bat at four pitches located outside the strike zone. In cases when there is a runner on third and fewer than two outs, they can attempt to hit a fly to drive the runner in by allowing the runner on third to tag up. They might even be hit by a pitch, reach on an error or—if first is empty or there are two outs—on a dropped third strike, the defense attempts to get the batter out. The pitchers main role in this is to throw the ball in such a way that the batter strikes out or cannot hit it cleanly so that the defense can get him or her out. Batting is often cited as one of the most difficult feats in sports because it consists of hitting a small ball, usually moving at high velocity. In fact, if a batter can get a hit in three out of ten at bats, giving him an average of.300, he or she is considered a good hitter. In Major League Baseball, no batter has had over a.400 average at the end of the season since Ted Williams in 1941, an OPS at or near 1.000 is considered to be the mark of an exceptional hitter. A sustained OPS at or above 1.000 over a career is a only a few hitters have ever been able to reach. Batters vary in their approach at the plate, some are aggressive hitters, often swinging at the first pitch. Others are patient, attempting to work the count in order to observe all the types of pitches a pitcher will use. In preparation of hitting, every player has their own particular warm-up routine. In baseball, a leadoff hitter is a batter who bats first in the lineup. It can refer to any batter who bats first in an inning, leadoff hitters must possess certain traits to be successful, they must reach base at a proficient on-base percentage rate and be able to steal bases. This is useful because it shows the team the pitchers pick-off move, many managers wish their leadoff hitters to take a lot of pitches, to work high pitch counts, to give their teammates a feel for the opposing pitcher, as well as raising his pitch count. Another job, often unknown and unappreciated, is the responsibility of the leadoff hitter, in the National League, after the pitcher bats, the next hitter is usually the first man in the lineup. His responsibility is to take his time walking to the plate so the pitcher doesnt have to run back to the dugout, which would waste energy and risk unwanted injury. Also, because the hitter is first in the lineup cycle of batters. Leadoff hitters tend to play defensively difficult positions, such as shortstop, second base, rickey Henderson is widely regarded as the prototypical leadoff hitter. First base, or 1B, is the first of four stations on a baseball diamond which must be touched in succession by a baserunner in order to score a run for that players team. A first baseman is the player on the team playing defense who fields the area nearest first base, in the numbering system used to record defensive plays, the first baseman is assigned the number 3. Also called first sacker or cornerman, the first baseman is ideally a tall player who throws left-handed and possesses good flexibility, flexibility is needed because the first baseman receives throws from the other infielders, the catcher and the pitcher after they have fielded ground balls. In order for the runner to be called out, the first baseman must be able to stretch towards the throw and they often are power hitters who have a substantial number of home runs and extra base hits while maintaining a.270 plus batting average. Good defensive first basemen, according to Bill James, are capable of playing off first base so that they can field ground balls hit to the side of first base. The first baseman relies upon the pitcher to cover first base to receive the ball to complete the out, indications of a good defensive first baseman include a large number of assists and a low number of throwing errors by other infielders. 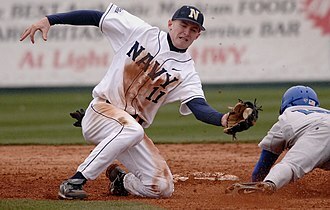 The nature of play at first base often requires first basemen to stay close to the bag to hold runners or to reach the bag before the batter. First basemen are not typically expected to have the range required of a baseman, shortstop. As a result, first base is not usually perceived to be as physically demanding as other positions, however, it can be a very hard position to play, a large amount of concentration and timing is required. Though many play at first base their entire career, it is common for players to be moved to first base in order to extend their careers or to accommodate other recently acquired players. Facing a possible trade or a reduction in playing time. Catchers and corner outfielders are often moved to first base due to deteriorating health or if their fielding abilities at their position are detrimental to the team. Sean Casey, former first baseman for the Cincinnati Reds tries unsuccessfully to keep his foot on the base while receiving a throw from an infielder. A high school first baseman takes a throw from the third baseman in an attempt to have the runner called "out". Former Yankees closer Mariano Rivera, one of the most prominent closers in baseball history, has the most career saves of any MLB pitcher (652). Lee Smith in 1994 was the first pitcher to start the ninth inning in over 75 percent of his appearances. By relegating Dennis Eckersley to mostly one-inning save situations, manager Tony La Russa (pictured) was instrumental in the development of the modern closer. 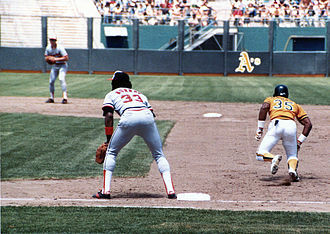 The all-time stolen base leader, Rickey Henderson, steals third base in 1988. Curtis Granderson steals a base. Lastings Milledge steals a base. Second baseman Mark Ellis of the Oakland Athletics hit for the cycle in 2007. View from center field at Minute Maid Park. Pat Venditte pitching left-handed for the Oakland Athletics in 2015. Barry Bonds in the on deck circle with various warm up devices. Brian Snitker as third base coach for the Atlanta Braves in 2008. 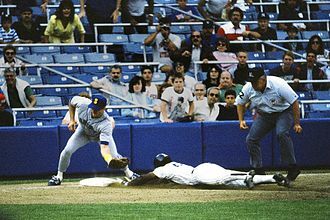 Hall of fame left fielder Rickey Henderson attempting a steal. Henderson holds both the single season and career stolen base records. Right fielder Giancarlo Stanton of the New York Yankees, seen here during his tenure with the Miami Marlins, signed the richest contract in sports history in 2014. Tillie Shafer was a utility infielder for the New York Giants. Relief pitcher Rheal Cormier warms up in the bullpen during progression of the game. Jesse Orosco, who became a left handed specialist later in his career, pitched until the age of 46. Sandy Koufax was the first major leaguer to pitch four no-hitters, including the eighth perfect game in baseball history, and he's widely known as a famous example of a power pitcher. Edgar Martínez, who spent most of his career as the full-time designated hitter for the Seattle Mariners was elected into the Hall of Fame in 2019. Florida outfielder Avery Barnes takes a big lead against Arkansas. Ichiro Suzuki is one of baseball's best contact hitters, consistently among the AL's leaders in at bats per strikeout. A Lansing Lugnuts batboy (in white) carrying a baseball bat away from home plate.